Choosing a career option in the field of health care brings along a responsibility of improving people’s lives and one of the most preferred ways of doing that is by being a nurse. Lately, a lot of statistical facts have been proving that nursing is a profession which can never go out of trend because the demand for nurses in various countries is unendingly high. Nursing as a part of healthcare sector is an option growing in leaps. 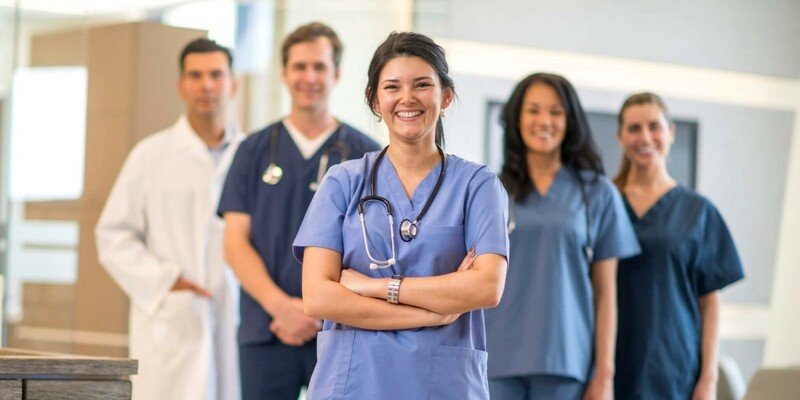 The growth rate for enrollment in Nursing programs in Canada is notable as there is a huge number of unattended population in the country which needs healthcare services. However, it is also worth noting that end number of factors affect the projected growth which include population, location and economic conditions to name a few. A recent report from the Conference Board of Canada explains that Nurses in Canada make up the largest proportion of health workers because more than 1.4 million of senior population in the country needs medical care and constant support. The figure is also expected to rise up by 71 per cent in 2026. So, on these lines, it’s not wrong to say that nurses from across the world should broaden their horizons of working and aim towards being a global nurse. Not only hospitals require nurses but also there are nursing care facilities which play an integral role in the health care system of Canada. With a major increase in the aging population of Canada, the day is not far when the demand for nursing services will be increasing at a much higher pace, resulting in more application for Nursing courses in Canada. After digging deep into the increasing demand for nurses and its causes, let’s find out how you can relocate for a safe and sound career as a nurse in Canada. When one decides to be a nurse in Canada, a lot of options can pop up, creating unwanted confusion. So, in order to avoid the go-to temporary fix ups, you must choose the most reliable and safe option of studying and working in Canada. The country widely accepts internationally educated nurses as being a multi-cultural country, versatility becomes their forte. Also, if you’re a registered nurse in your country, it serves to be an added advantage that lets you explore working opportunities in your field of choice. The country has a minimal record of violence against immigrants so safety concerns take a back seat. Since skill and experience take the first rank in Canada, people who are widely experienced in their field of expertise can easily find booming opportunities in the country. Every province here has its own different set of requirements so you must check for yourself before generalizing it. It is important to match the criteria of educational background, minimum qualification for eligibility and the authorized professional designations in order to start working in the province of your choice. Once you have matched the eligibility criteria, it will be followed by an assessment from the nursing regulatory body of the respective province of your choice. One of the most important factors which must dominate your decision of moving to Canada as a nurse is the noteworthy difference of wages. An estimated average salary for a registered nurse is CAD 65,000 p.a. which if compared to the developing nations is seemingly high. So, above mentioned was a glimpse of the detailed procedure involved in immigrating to Canada as a nurse. Further, we have highlights of the broad career pathways to choose from, after completing your study program. Nursing as a whole is a vast field which further has multiple classifications. Based upon the nature of services there are many nursing programs in Canada which focus on the broad wings of healthcare system along with its varying requirements. However, before looking at the career prospects, here we have provided a video which speaks in volumes about what happens when you become a nurse. VIDEO: What If You Become a Nurse? Since nowadays it is important for nurses to do more than simply helping with healthcare, here are a few nursing courses in Canada which focus on various aspects rather than general nursing. 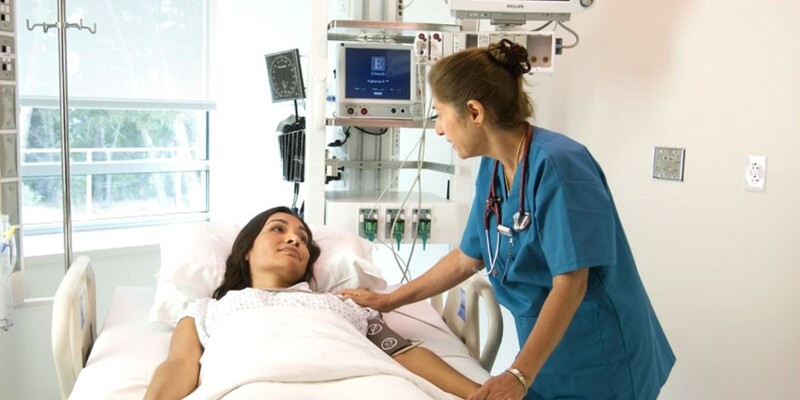 Choosing Critical Care Nursing means choosing intensive care unit (ICU) of the hospital. 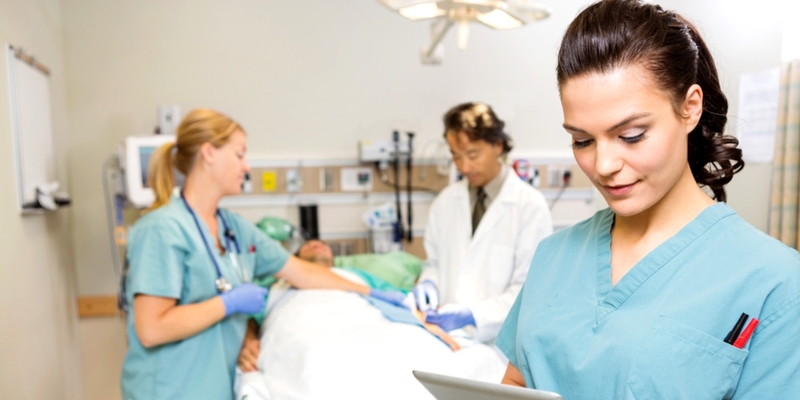 A critical care nurse will be responsible to assess, help and treat critically ill patients. Patients with some serious life threatening diseases fall under the category of your immediate patients. Choosing this field can be emotionally challenging as every day you have to be familiar with the fact that there are people around with life consuming diseases. From a range of nursing programs in Canada, this one specifically can provide an average salary of $74,830 per year or $38 per hour. This branch of nursing focuses on providing relief from stress and serious illnesses followed by it. A Palliative Care nurse will always have to make sure that the patients and their family, both are well taken care of. These nurses work like an extra support layer in coordination with multiple teams of doctors. Being a registered nurse for Palliative Care can bring along a remuneration of $33 per hour. Often Palliative Care nurses are termed to be the “bridge” of support as along with the treatment and assistance, they also are skilled about the know how’s of communication with patient’s family and immediate dear ones. Nursing programs in Canada are curated keeping in mind the need for diversity and this course is somewhat different from basic functions of nursing. In Nursing Leadership & Management, one learns the art of influencing, leading and achieving common goals through mutual understanding about healthcare. By choosing this branch of nursing one gets the exposure towards challenges in healthcare industry, various leadership theories and higher nursing standards. On the professional front, after pursuing this course, you also stand a chance to work as a Chief Nursing Officer, Health Officer and Commissioner of Health. Coronary Care unit being the cardiac rehabilitation unit has nurses who have specialized in cardiovascular care. The prime focus is on helping the heart patients recovering from bypass and angioplasty to make lifestyle changes which can improve their health conditions. They may also work as part of a team under the direction of a cardiologist. In terms of career scope as Coronary Care nurse, there is a huge scope because lately, the population of unattended heart patients in Canada is increasing. So in order to provide them with the required care and services, Coronary Care nurses are being hired in leaps. Gerontology is a branch of nursing which has slowly gained momentum. It reflects on the urgent health needs of older adults. Being a nurse in the Gerontology department of healthcare brings along the responsibility of assisting senior citizens with complex physical and behavioral issues such as pain, pressure ulcers, cognitive impairment, and self-esteem disturbance. Career prospects for nurses choosing Gerontology are diverse and vast as this discipline of healthcare is much required throughout the world to cater to the needs of multiple unattended senior citizens. As descriptive as the term is, Community Mental Health is one of the many hands of medical healthcare which focuses on improving the mental health status of people with mental illness. There are special community based initiatives under this segment which only keep in consideration the needs of local patients. Nurses choosing this specialty get to study various psychological behavior patterns and the needs of their patients are ever changing, requiring a certain degree of adaptability. The scope of this nursing course in Canada is alarming but in a rapidly changing environment the search for a professional identity can remain constant. Definitely there are educational requirements which make your dream of being an international nurse come true but along with that there are a quiet a few character traits which dominate the decision of being a nurse. So, if you think you’re an organized, clear headed and compassionate person, then you’re already half way across your journey. You must be willing to work in shifts because that is something which always tags along with this profession and nothing. Stepping up the ladder of this noble profession is a competitive call but if you have the dedication and will to be a part of this journey, then there’s a lot waiting for you on the other side.